Studies suggest that higher utilization of the ED results from unmet health needs and lack of access to appropriate settings. 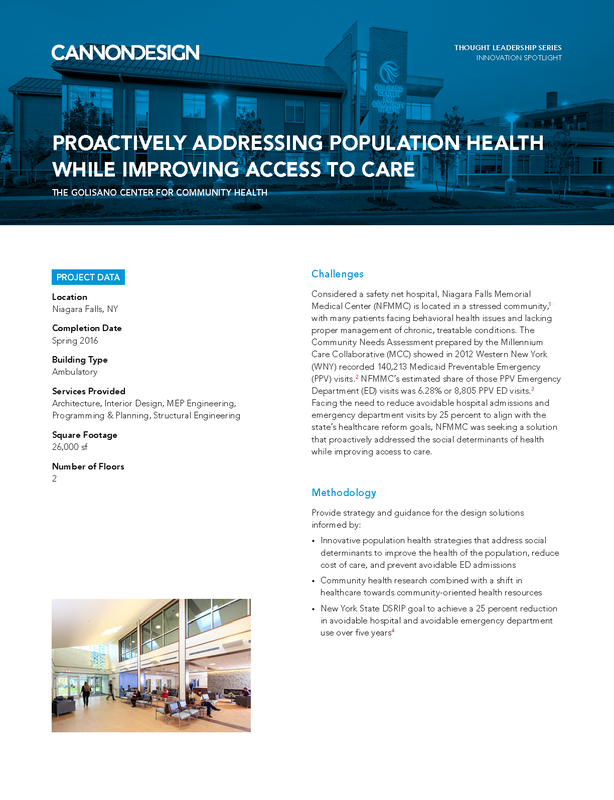 In an effort to improve community health, NFMMC was seeking a solution that proactively addressed the social determinants of health while improving access to care. The Golisano Center for Community Health offers integrated care to adults and children, including developmentally and intellectually disabled and other at-risk individuals, aimed at preventing the local population from “slipping through the cracks” of the healthcare system.